Corporate clients ask us how to help their employees incorporate more movement at work. It’s a tricky issue as most office work is done on a computer which requires the user to sit or stand in front of it for hours. Doing any repetitive movement for hours can lead to pain and muscle soreness. The key is to move frequently in different positions. Simply standing up periodically, stretching, going to the restroom or walking around the office lets your muscles take a break from the repetitive movements and stiffness of prolonged sitting. 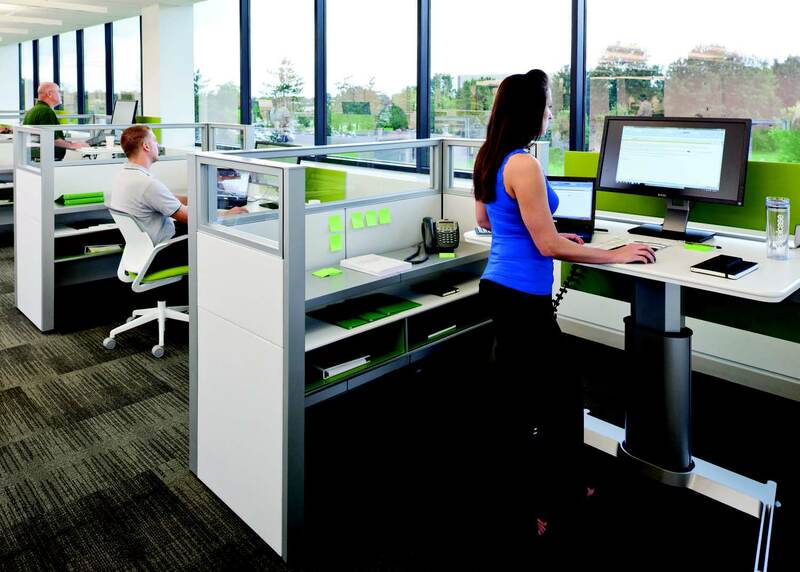 Desks that allow employees to alternate between sitting and standing are helpful. Steelcase has a few options as well as many other vendors. Here are some other tips on adding more movement into your work day. Woman’s Health has this article, Easy Ways to Move More At Work. For the science-minded, here is a promising pilot study from The Journal of Environmental and Public Health about helping employees remember to move more at work. A Pilot Study of Increasing Nonpurposeful Movement Breaks at Work as a Means of Reducing Prolonged Sitting. The study shows that passive prompts tend to be most encouraging to help people remember to move frequently throughout the day. The passive prompts were computer based timed prompt that reminded staff s get up and perform some kind of “nonpurposeful movement.” In the study, the software program used gave staff a choice of 60 office-appropriate activities (i.e., walking, taking the stairs, and retrieving the photocopies). to complete. Employees were able to select the active, and choose the duration and intensity of each activity or nonpurposeful movement. To read the full study, click here. Even the government has gotten on the movement bandwagon and created a program to help federal employees move more at work. Click here for info about the Veteran’s Health Administrations Success With Increasing Movement at Work. If all else falls, employers can provide push scooters for their staff. If the halls are long enough, people can push their way around the office! Roller skates and Roller blades in the office may be going too far though. Unless your office is the Fantasy Factory at Dyrdek Enterprises.